Kojima Productions has changed the developer in charge of Metal Gear Solid Rising. The producer was Shigenobu Matsuyama. It is now Yuji Korekado, Kojima Productions producer Kenichiro Imaizumi confirmed via Twitter (translated by Andriasang). Matsuyama's fate is unknown, but we do know he has moved to a different division. Meanwhile, a report on TheSnakeSoup claims that Konami has abandoned the Zan-Datsu trademark which was closely associated with the long in development game. In interviews, including one with Eurogamer conducted at Gamescom 2010, Matsuyama referred to Zan-Datsu, which means "cut and take", as underpinning the entire game. 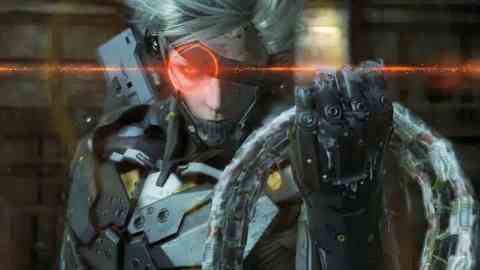 Metal Gear Solid Rising is a spin-off starring androgynous sword-slicer Raiden. It is set between Metal Gear Solid 2 and Metal Gear Solid 4, and will reveal how protagonist Raiden changed from his first appearance in MGS2: Sons of Liberty to the cybernetic ninja seen in Hideo Kojima's PS3 opus MGS4: Guns of the Patriots. The idea behind Zan-Datsu was that the game allowed players to slice enemies and objects in multiple ways. Raiden was to remove certain things from enemies after doing so. Konami has remained quiet on Rising for a number of months, leading some to express concern over its status, but it will resurface at the Spike Video Game Awards next month, where Konami will unveil new gameplay. Hideo Kojima will also be on stage at the event to reveal "the truth" about the long-in-the-offing project.